The Klimataria fish restaurant is a small family business, founded by Nikos and Lilly Bellos. It offers traditional fish dishes prepared with the freshest produce available from the Corfiot earth and sea, along with Vegetarian, Vegan, and gluten-free options. Klimataria opened in February 1997 in the quaint fishing village of Benitses, Corfu, and is open from February to November. Since Klimataria only has eleven tables (six on its porch and five in its beautiful interior), we recommend you book early on 26610-71201, to give us an opportunity to best serve you. 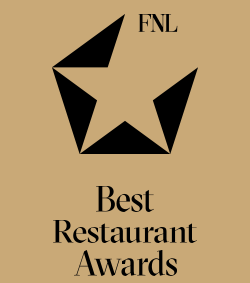 Klimataria was an award winner in the FNL Best Restaurant Awards 2017 in the category, “Traditional Greek Cuisine”!